A myelography is a specialised test that is used to visualise the spinal bones and the space around the spinal cord called the subarachnoid space. It utilises x-rays (or a CT scan) and a contrast dye to view the structures, and is an excellent tool in diagnosing problems with the spinal cord and nerve roots. A myelogram is performed to diagnose conditions such as spinal cord tumors, intervertebral disc herniation, bone spurs, brain tumors, disc degeneration due to arthritis and injury to the spinal nerves. Prior to the procedure, patients may need to answer a few questions about their health to make sure that they have no problems with their health that would make performing the procedure risky. For example, the procedure cannot be performed in women of child bearing age who are pregnant due to the risk of exposure to radiation. Patients who have a known allergy to the contrast dye cannot undergo the test. Patients with problems with their kidney or underlying diabetes are at risk of side effect. Patients are requested to observe an overnight fast sometimes. Once consent is obtained, the back is cleaned with antiseptic solution and is covered in sterile drapes. The patient is asked to lie on their stomach, and the skin where the procedure is performed is anaesthetised with local anaesthetic. A needle is gently inserted into the space between the vertebral spinous processes till it reaches the subarachnoid space - the space where the spinal fluid is located. This is called a lumbar puncture. A small amount of this fluid is removed for analysis, and this is followed by administration of contrast dye into the space. The x-ray table is them moved in different directions so as to allow the contrast dye to move around the spine. Once sufficient dye has been injected, the needle is removed and an image of the spine is taken with an x-ray machine or CT scanner. The procedure can take between 30 minutes to 1 hour to perform. The patient will be requested to lay flat in bed for a few hours, and keep well hydrated. This allows the puncture site to close and heal. After this, the patient can mobilise gently and is then discharged home. A myelogram offers clear information about the state of the spinal cord, and helps delineate any problems there may be that require treatment. The risks are a few but rare. Exposure to radiation needs to be borne in mind. Allergic reaction to contrast dye may occur. There is a small risk of seizures due to irritation of the brain by the contrast agent. Patients may experience a headache after the procedure due to the loss of a small amount of cerebrospinal fluid i.e. the fluid that surrounds the spinal cord. 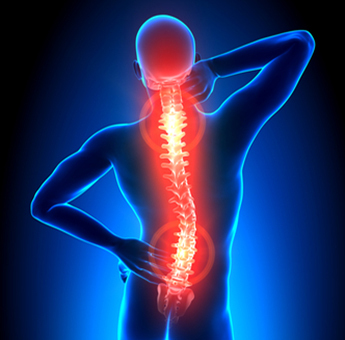 There is also a small risk of bleeding around the spinal cord; this settles fairly quickly.